The English Bulldog pictures in this slideshow prove that this is one very photogenic breed. As you enjoy these photos, learn a few interesting facts about these most unusual dogs. Watch out though; you may just find a Bully has stolen your heart. 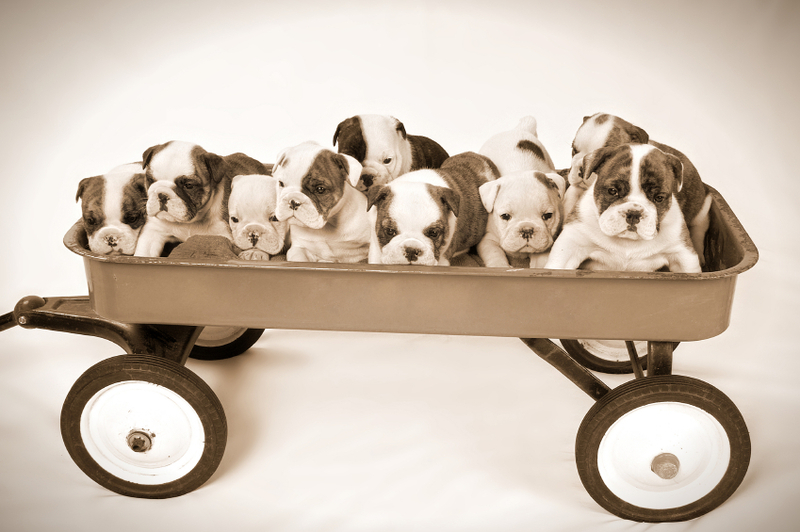 Bulldogs are deceptively heavy for their size with most adults weighing around 50 pounds. The English Bulldog breed was originally developed as a fighting dog, but today's Bully has been bred to be a wonderful family companion. Bullies are definitely fun-loving and often a bit clownish. Bullies don't require tons of exercise, but you may be surprised to find out just how energetic they can be. Unlike most breeds, the English Bulldog's bite is undershot; this actually means the lower jaw is longer than the upper jaw. This gives these dogs a very distinctive appearance since the lower teeth often protrude past the lips on adults. It's important to wipe out a Bulldog's wrinkles with a pet wipe to keep him smelling fresh between baths. Like Pugs, Pekes and Shih Tzus, most English Bulldogs snort and snore due to their exceptionally short muzzles. In fact, these characteristics are considered part of the Bully's personal charm by those who appreciate him. English Bulldogs have an inquisitive and confident nature, and they aren't afraid to explore their surroundings. The English Bulldog's broad, heavy body makes swimming quite difficult if not completely impossible. Take care around water. Would you like to learn about a related breed? Visit French Bulldog Pictures.